In describing why Nexthink is a critical partner in their value-offering Morten Grønnebӕk, Chief Commercial Officer at BusinessNow, said “What we were experiencing as a consultancy company was that SLAs might be green out there, but your customers or end-users’ satisfaction was often red.” Indeed, prior to Nexthink, BusinessNow was increasingly faced with a major issue: clients’ IT departments were blind to IT issues at the end-user level, although data centers seemed operational. This IT-to-User visibility gap has become a progressively aggravating issue in delivering IT services, and has been exacerbated by the increase in complexity and widening of internal IT infrastructure. The visibility gap creates issues within even in the most mature organizations, as end users lose over 20 minutes per day of productivity due to IT performance issues that have gone unnoticed or could not be fixed in time. Ultimately, this results in lost productivity for the business, distrust in IT and employee frustration. Such technical, business and user problems are what has led BusinessNow to search for more data and better insight to improve their service in order to become more proactive: “the best incident is the incident that never happens” further highlights Grønnebӕk. Nexthink is the ideal addition to the BusinessNow solution, complementing ServiceNow’s incident and CMDB management. Nexthink seamlessly enhances the ServiceNow platform by extending its current data-center focus all the way to the end user and the endpoint. ServiceNow – while remaining a leader in technical data-gathering, incident logging and Configuration management – provides a picture of IT’s consumption largely limited to data center infrastructure. 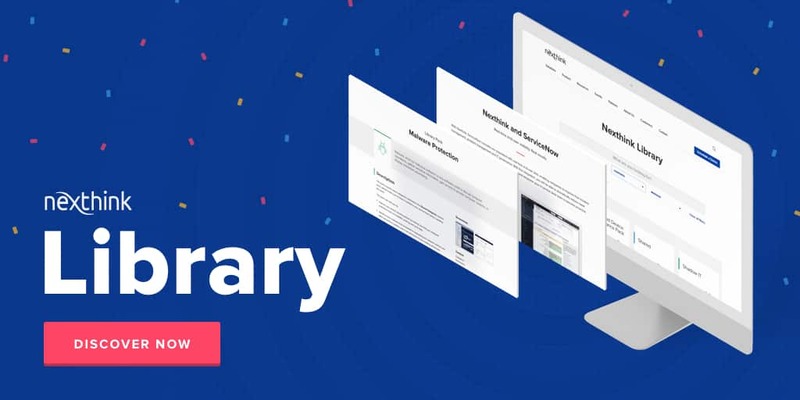 Nexthink’s extension complements this technical insight by enabling access to dynamic real-time information on users’ interactions and experiences with IT across the organization. Analytics: receive in-depth micro and macro level insight from many different aspects of your IT environment, which can all be easily tailored and visualized according to your needs. Engage: gather continuous feedback directly from the end user, increasing your response-rate from a typical 3%-5% to more than 60%; and give employees access to a comprehensive Service Resolution Catalogue to incentivize self-help. Act: Execute Powershell-based remote actions to speedily or automatically resolve incidents, as well as providing access to more granular details about an incident to understand its source. 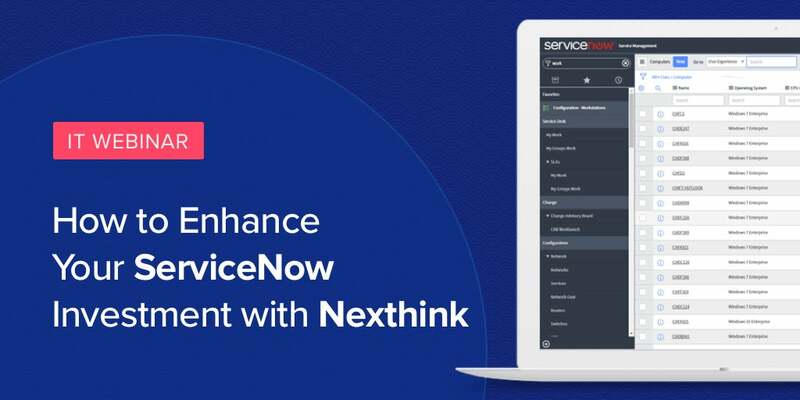 Nexthink integrates with the ServiceNow platform through two main components. First, through the Incident Management 2.0 Connector which speeds up the capture and logging of data. With, at most, 30 second-old insight combining both static hardware/software and dynamic end-user consumption data, as well as providing granular information on current issues and One-Click fix options. Secondly, through a CMDB extension giving more up-to-date, accurate and in-depth information about the entire end-user infrastructure while providing critical actionable insight into end-user IT consumption to enhance your current ServiceNow asset portfolio. 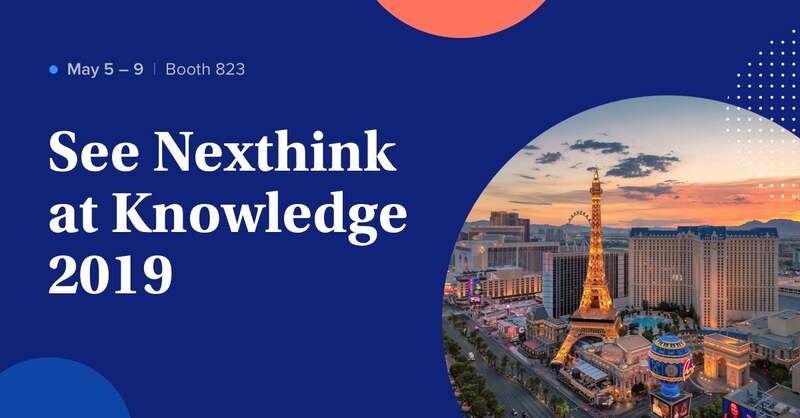 In summary, Nexthink provides a unique integration to your ServiceNow environment, populating it with widespread data from across your IT infrastructure to enhance both its incident management and CMDB platforms. This provides your organization with unparalleled access to a holistic and actionable understanding of your IT infrastructure – and its consumption – in a successful effort to bridge the IT visibility gap that is so common in today’s organizations. The Nexthink extension is accessible in your ServiceNow store. To learn more visit our ServiceNow integration page.